Magistrate Joe Mifsud. Right: Popular Maltese singer Mike Spiteri. 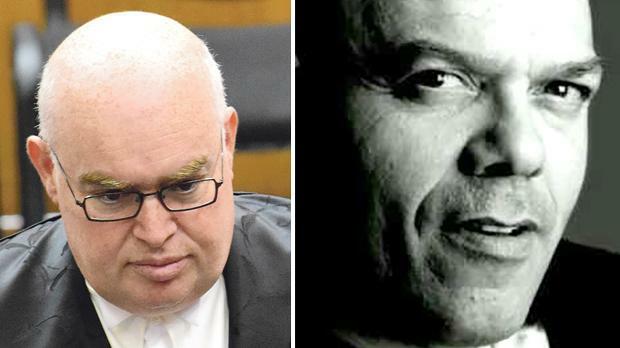 Magistrate Joe Mifsud played a song of a popular Maltese singer before delivering his final judgment in a criminal case to the amusement of legal operators, police officers and members of the public present. Some of those present inside the Gozo courtroom on Wednesday told Times of Malta they could not believe their eyes when the magistrate, sitting at the bench, used his tablet to play Mike Spiteri’s song before he proceeded to read out the judgment in which he quoted part of the lyrics. “We were all eager to hear the magistrate’s judgment on a case involving an alleged fight between two groups in Marsalforn. Just before he started reading the conclusions, the magistrate played the popular song Fejn tħobb il-qalb (Wherever the heart loves). When it reached the chorus he started reading his sentence,” one of those present said. Another said those present at first thought the magistrate had pressed the wrong key on his tablet when they heard the music coming out from the direction of the bench. It was only when they realised the magistrate was following the song and making sure those present were also listening to the music and the lyrics that everyone started smiling and wondering what was going on, he added. The reason why the magistrate decided to do so became clear when he quoted the lyrics of the song in his judgment. The case involved an alleged fight sparked off by a love affair that went wrong. Dr Mifsud pondered over the way relationships could end, quoting the lyrics Fejn tħobb il-qalb jimxu r-riġlejn (Where the heart loves, there the legs walk). Pointing out in his judgment that trouble brewed when parties refused to accept that a relationship had ended, the magistrate insisted that such a reality can have “serious consequences that bring a lot of pain, as stated by singer Mike Spiteri fejn thobb il-qalb jimxu r-riglejn”. This episode, deemed “unprecedented” by court observers, was widely discussed in the corridors of the court in Malta yesterday. Legal operators who contacted Times of Malta expressed concern that such behaviour risked eroding the respect both the court and the judiciary should command.